Camping out creates a range of great experiences for students by taking them away from their usual creature comforts. 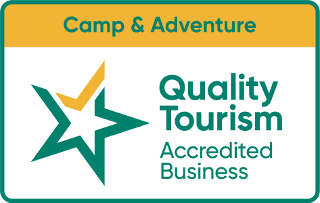 Instead they have the opportunity to reconnect with nature in a very practical way – such as cooking dinner on a campfire, and pitching tents. Watching the brilliant night sky, stars, planets, satellites and the Milky Way over the Southern Ocean is unsurpassed. Camping Kangaroobie-style has got a real sense of exclusivity about it. School groups can camp in private bushland within the Kangaroobie property or at Princetown Recreation Reserve. The latter option gives students a real journey of discovery. 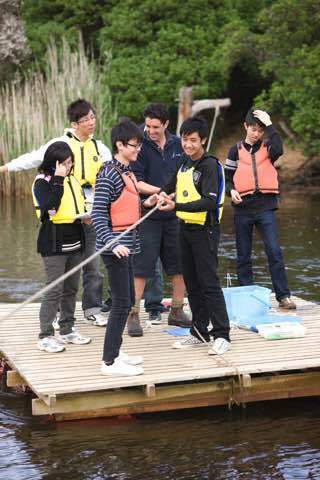 Students raft the Gellibrand River, hike a section of the Great Otway National Park, and then set up their campsites at Princetown. There are purposed-built amenity blocks at Princetown. The campground is set behind the Princetown beach dunes. Ecologically, the Princetown campsite is a fascinating environment with immediate access to spectacular coastal scenery with towering sea cliffs, a beautiful beach, it’s where the Gellibrand River mouth meets the ocean, and there are hundreds of acres of wetlands which are teaming with fish and birds. 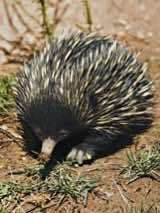 Echidnas are often seen at Princetown, scrambling through the coastal heath. 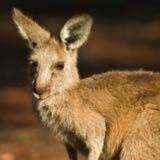 Kangaroos and wallabies can be spied grazing at sunrise and dusk.